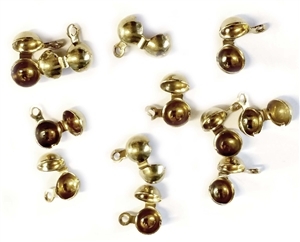 Brass Double-cupped Clam shells, bead tips. Double cup style with top hanging hole. Raw, 6mm cup. Twelve (12) piece lots.